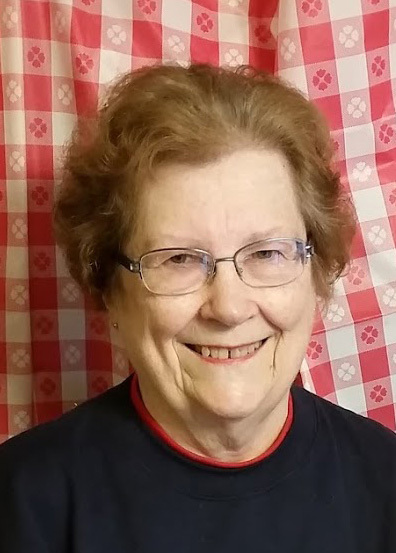 Donna Mae E. Tessar (nee Vetter), 81, of Kewaskum passed away peacefully on Saturday, April 13, 2019. She was born on November 14, 1937 to the late Raymond F. and Lillian (nee Moldenhauer) Vetter in New Fane, WI. 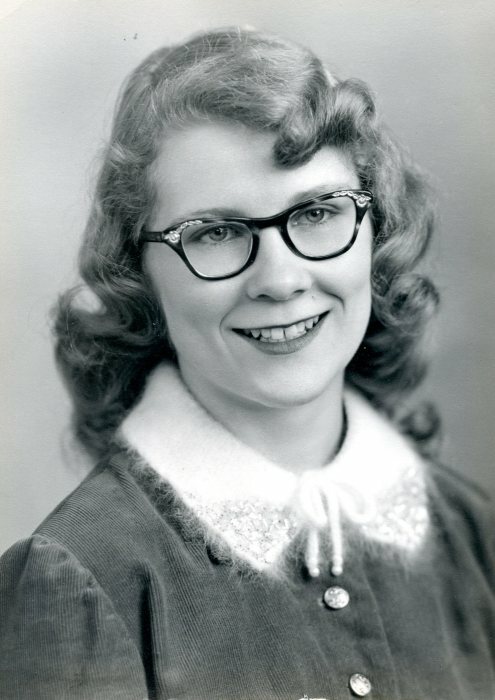 She graduated from Kewaskum High School in 1955. In August of 1956 she was married to Daniel A. Zanow by Rev. Elmer J. Zanow at St. John’s Ev. Lutheran Church in New Fane. For the next few years Donna moved around to many places including South Bend, Indiana; Marquette, Michigan; Madison, Wisconsin; El Paso, Texas, eventually moving back to New Fane, Wisconsin in 1970. On March 4, 1983 she was united in marriage to her high school sweetheart, Thomas L. Tessar. She worked at Regal Ware in the office for many years until she retired in 1993. Donna was very strong in her faith and taught Sunday school and confirmation classes at St. John’s Ev. Lutheran Church in New Fane for many years. She enjoyed traveling with Tom and flower gardening, and she was an avid Brewers and Packers fan. Donna especially enjoyed spending time with her family. She will be dearly missed by all who knew her. Those Donna leaves behind to cherish her memory include her two children, Darryl (Bonnie) Zanow and Denise (Jim) Spaeth; four step children, Randy (Debbie) Tessar, Kimberly (Daryl Hansen) Tessar, Thomas J. Tessar, and Michael (Tina) Tessar; four grandchildren, Brooke (Justin) Krueger, Graeme (Jennifer) Zanow, Levi Spaeth, and Rebecca (Andrew) Tinlin; nine step grandchildren, Danielle (Ty Elias) Tessar, Jason (Kelly Bolgart) Tessar, Vicki (Nick) Haggenmiller, Monica Reimer, Jarrett (Sarah) Tessar, Jordan Waldschmidt, April Tessar, Allen Tessar, and Jesse Tessar; fifteen great grandchildren; a brother, Neal (Laurie) Vetter; two sisters-in-law, Mary Tessar and Grace Ulbricht; a good friend, Elsie Lins; many nieces, nephews, other relatives and friends. In addition to her parents, she is preceded in death by her husband, Thomas L. Tessar; a great-grandson, Andrew Haggenmiller; three brothers-in-law, Wayland (Darlene) Tessar, Allen (Annabelle) Tessar, and John Tessar; and former husband, Daniel Zanow; two sisters-in-law, Joy (Victor) Pannier and Lois (Merlin) Matter; and a brother-in-law, Mel Ebersold. A funeral service in remembrance of Donna will be held on Saturday, April 20, 2019 at 11:30 a.m. at Pilgrim Ev. Lutheran Church, 462 Meadowbrook Dr., West Bend. Burial will be at Peace UCC Cemetery in Kewaskum on Saturday April 20, 2019 at 2:30 p.m. The family will greet relatives and friends on Friday, April 19, 2019 from 5:00 p.m. until 7:00 p.m. at the Myrhum Patten Miller & Kietzer Funeral Home, 215 Forest Ave., Kewaskum. They will continue to greet relatives and friends at Pilgrim Ev. Lutheran Church on Saturday, April 20, 2019 from 9:30 a.m. until 11:30 a.m. The family would like to thank the doctors, nurses, and staff at Froedtert Hospital in Milwaukee, Cedar Community Hospice, Pastor Fisher and Pastor Raffa for all their help and care.